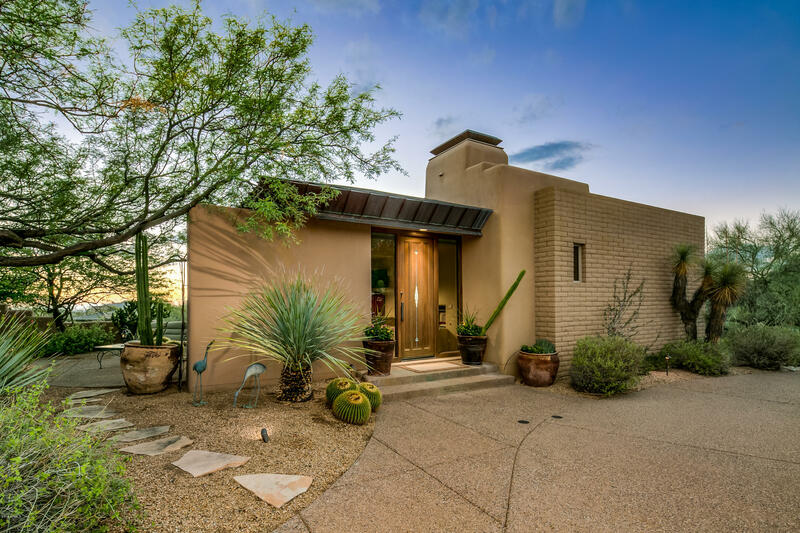 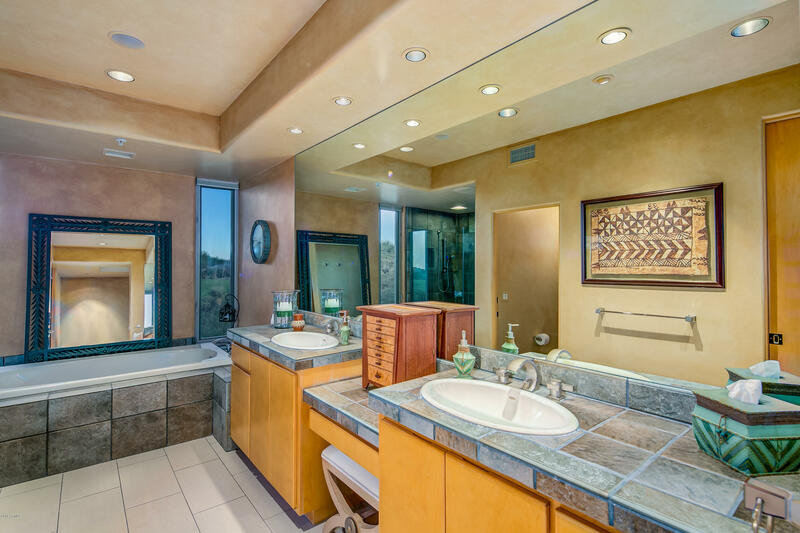 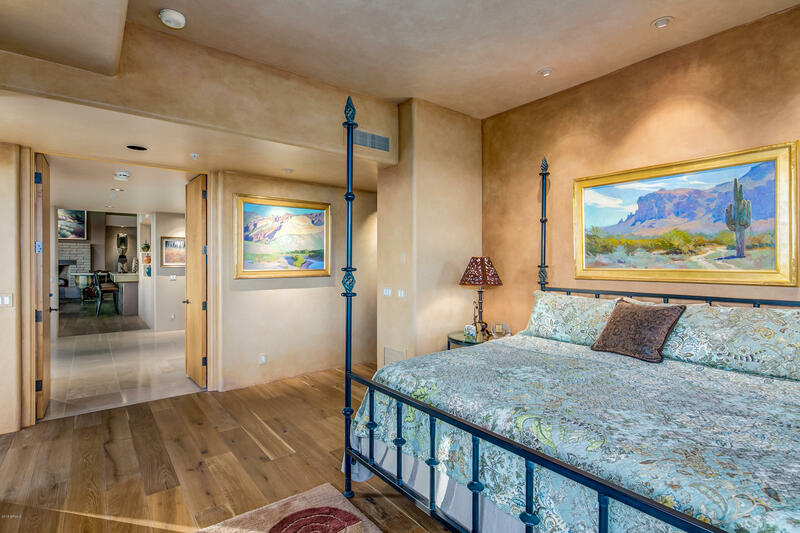 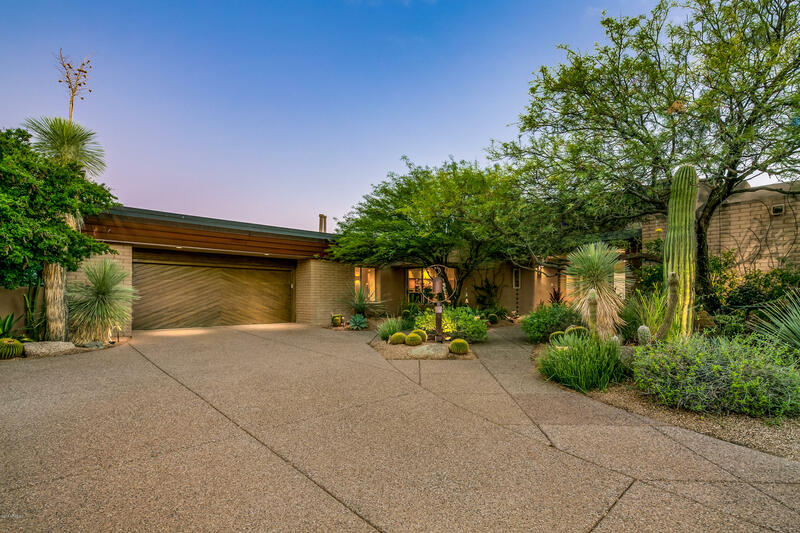 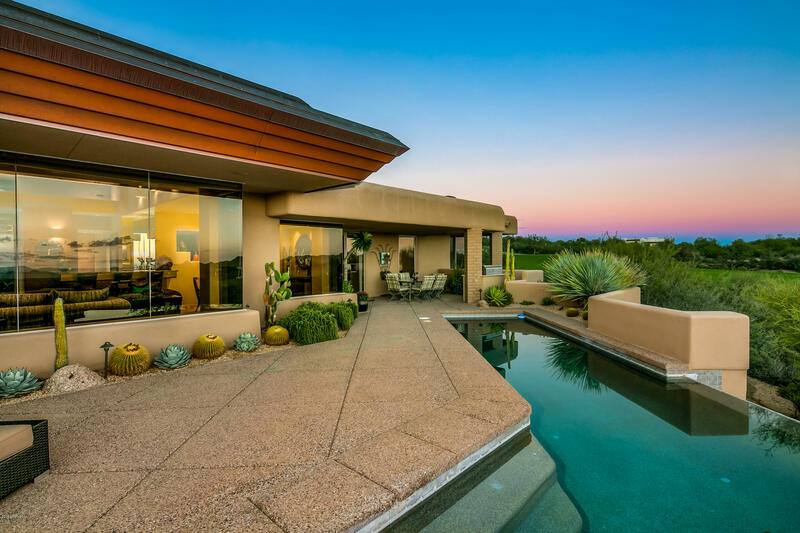 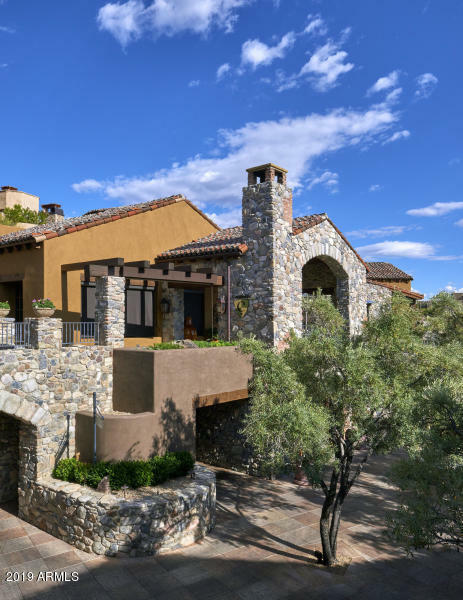 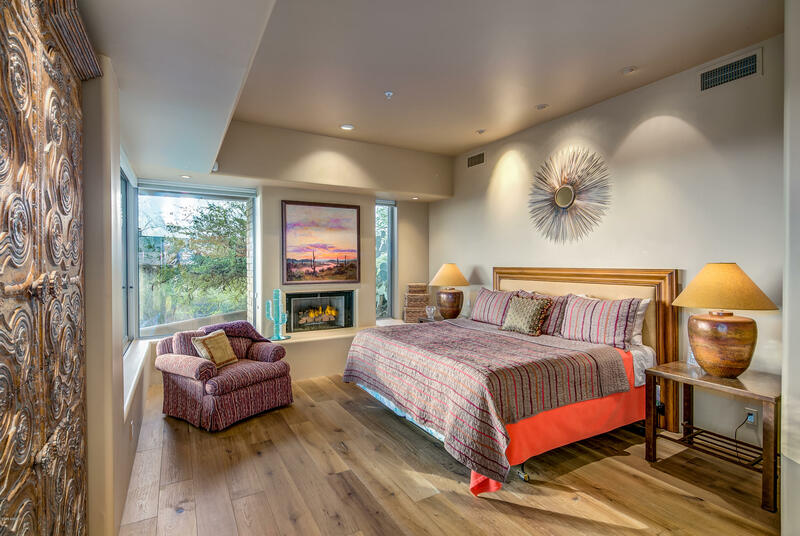 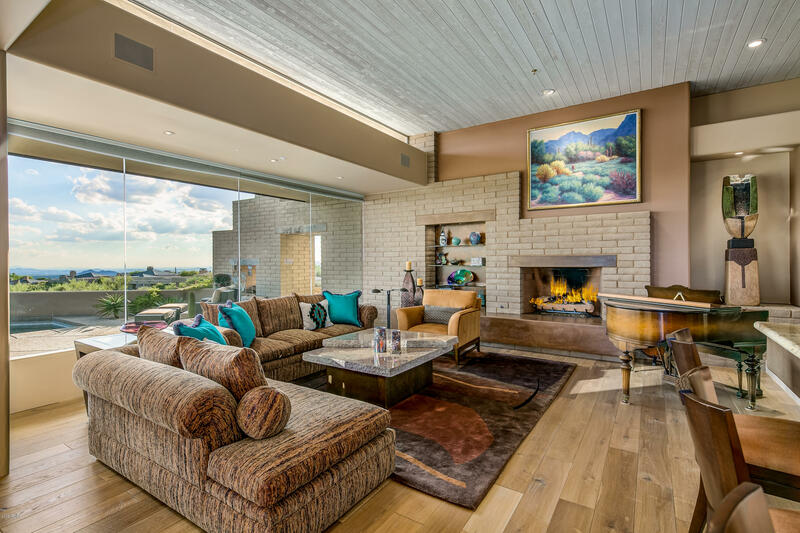 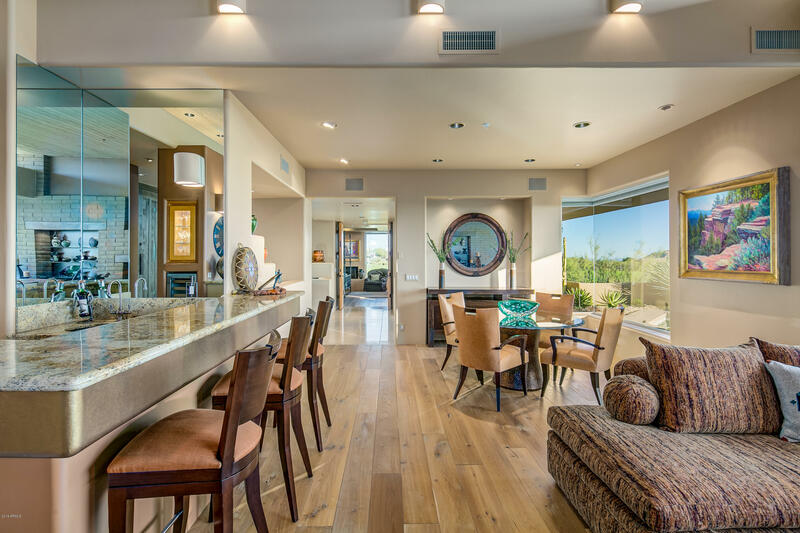 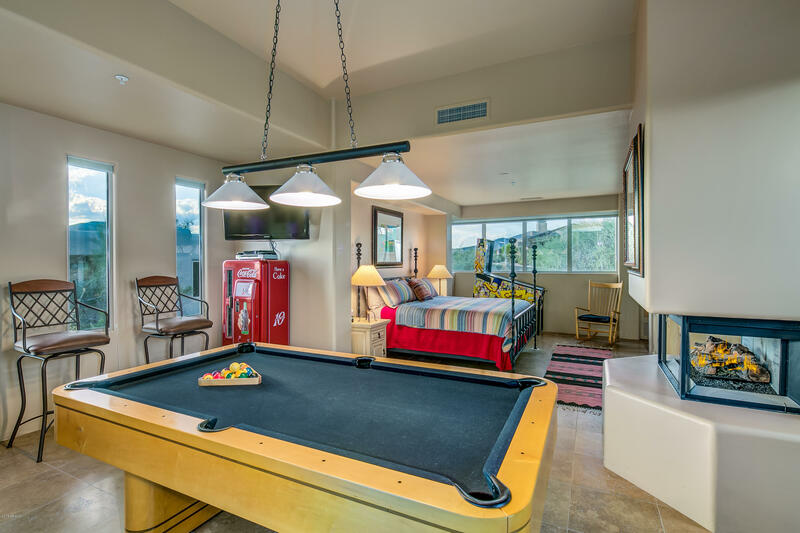 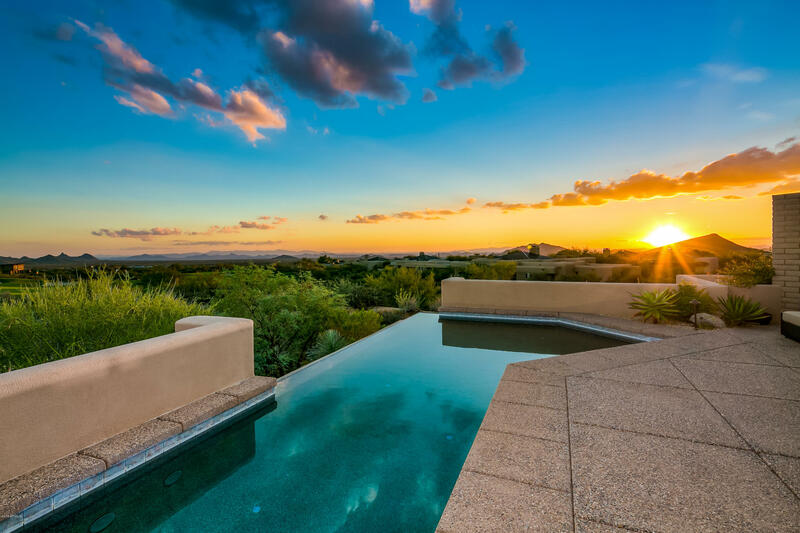 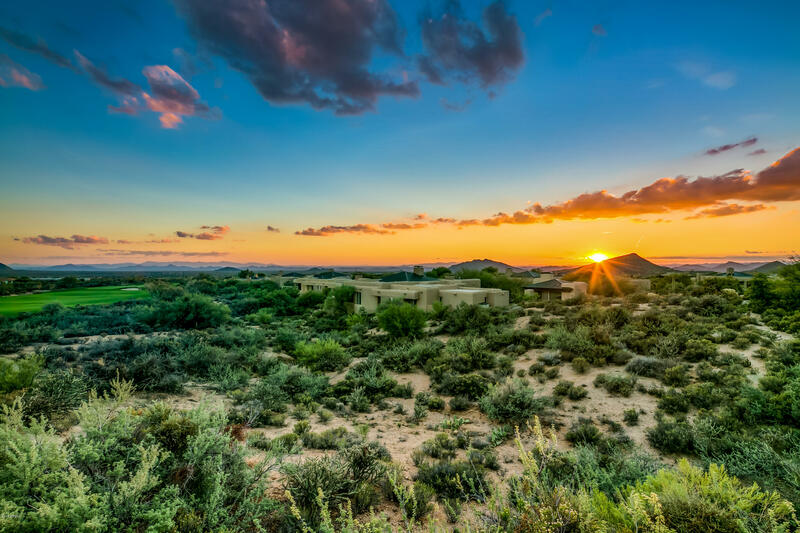 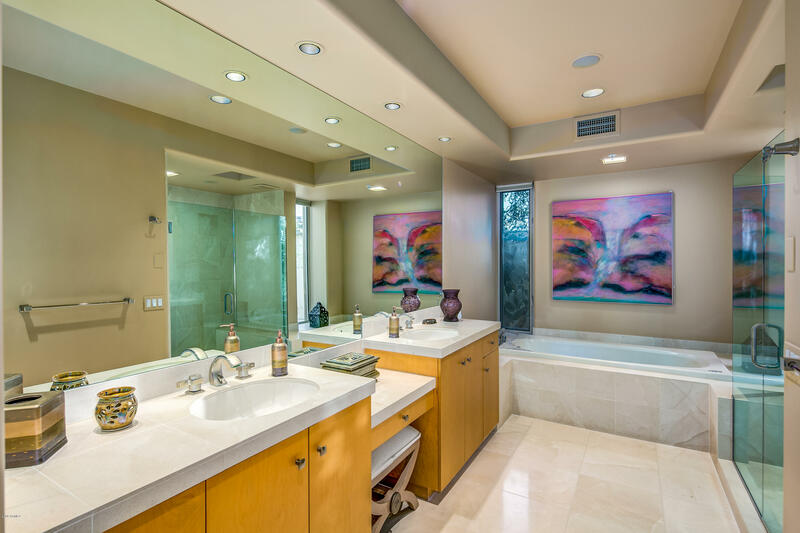 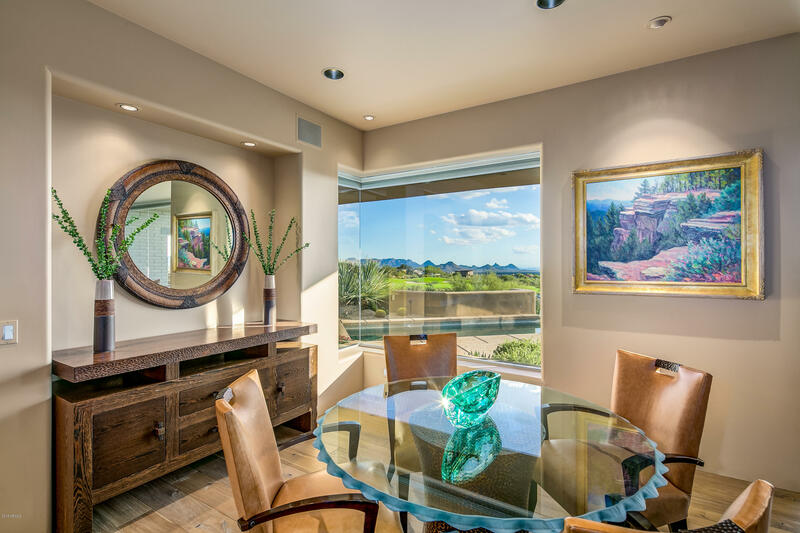 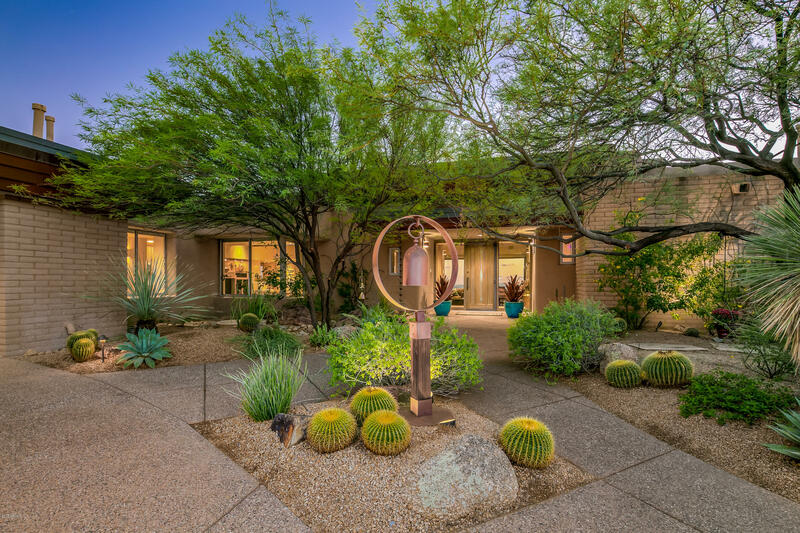 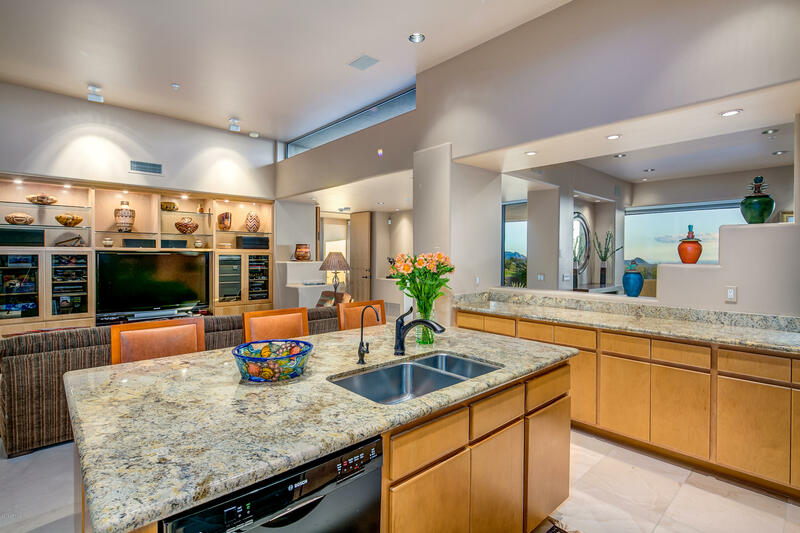 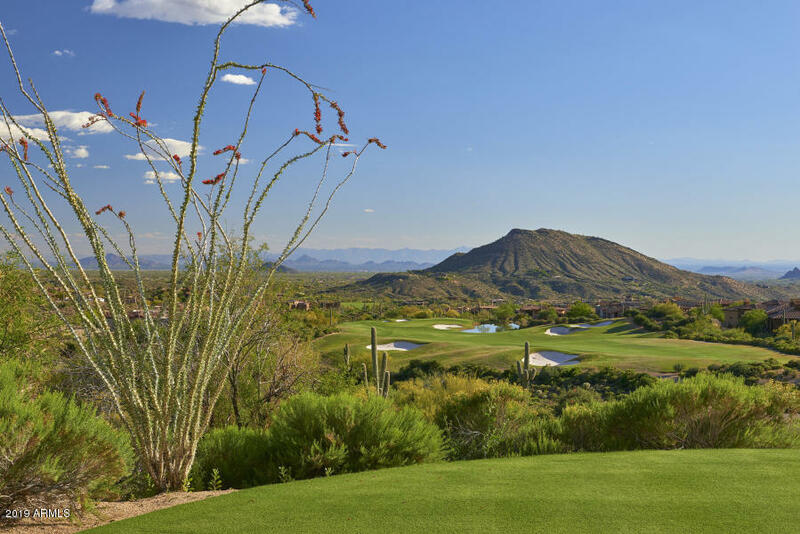 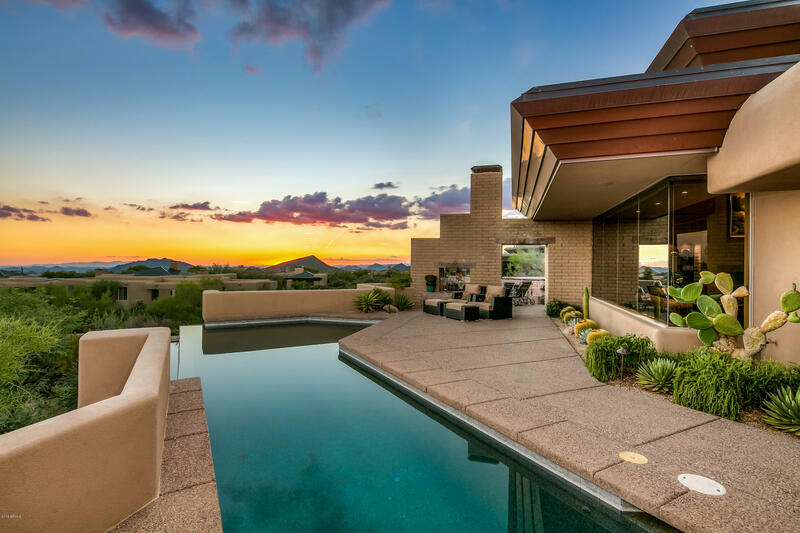 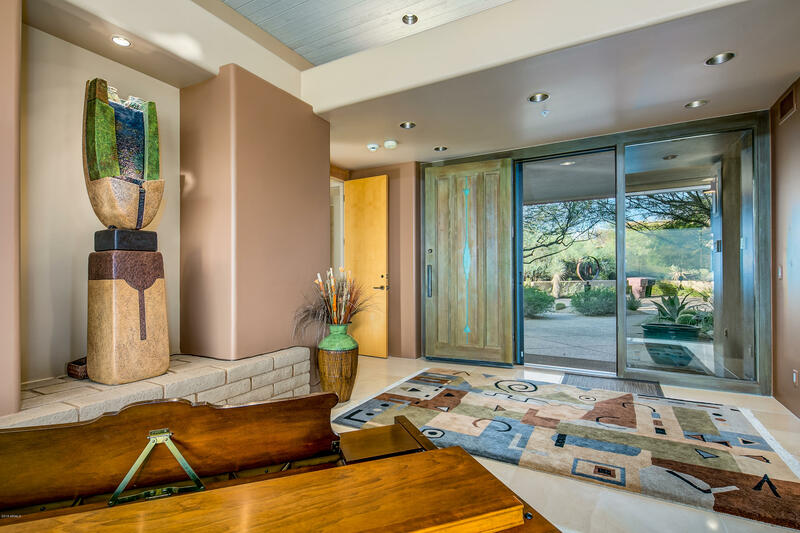 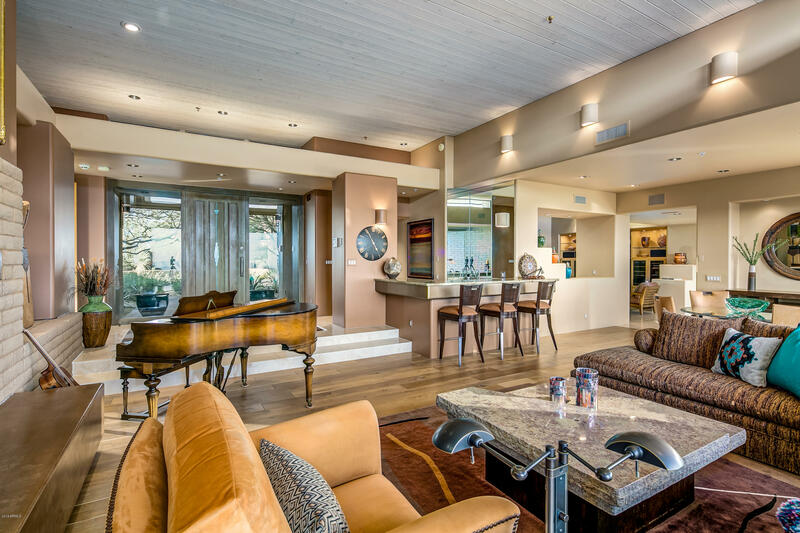 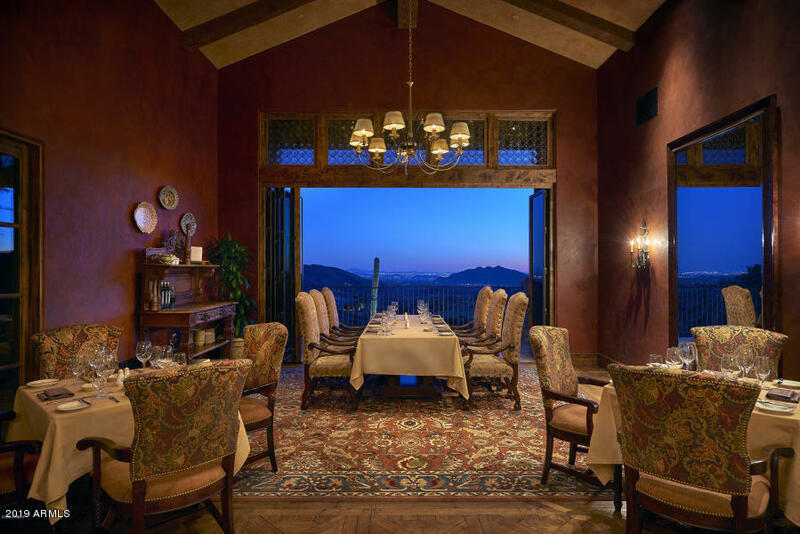 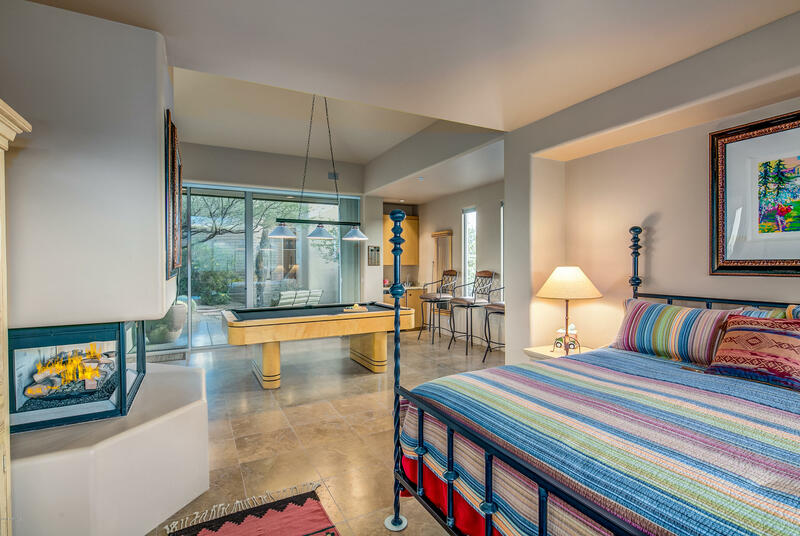 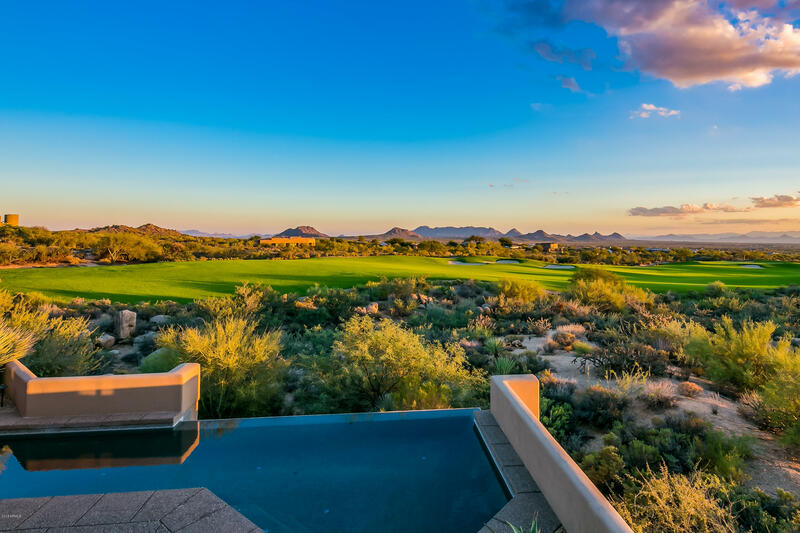 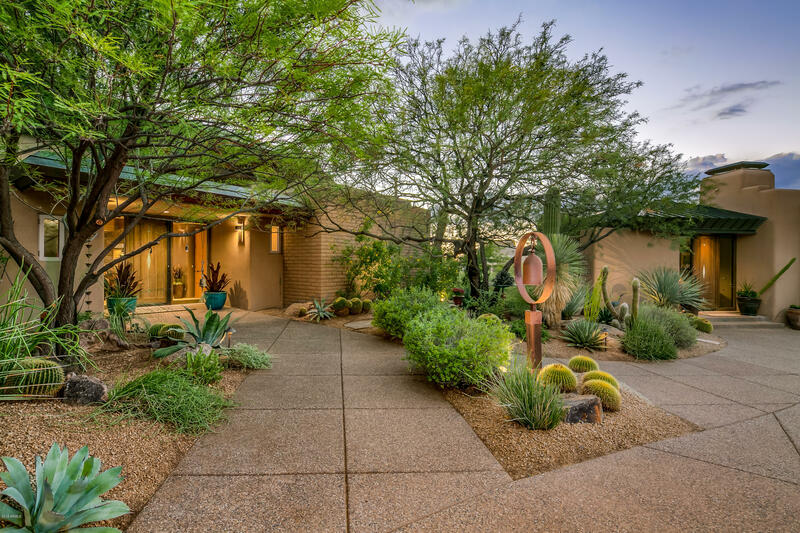 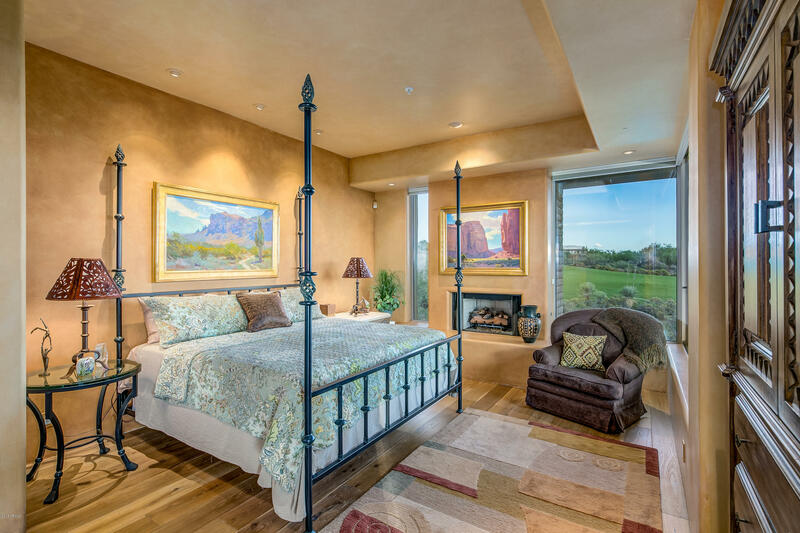 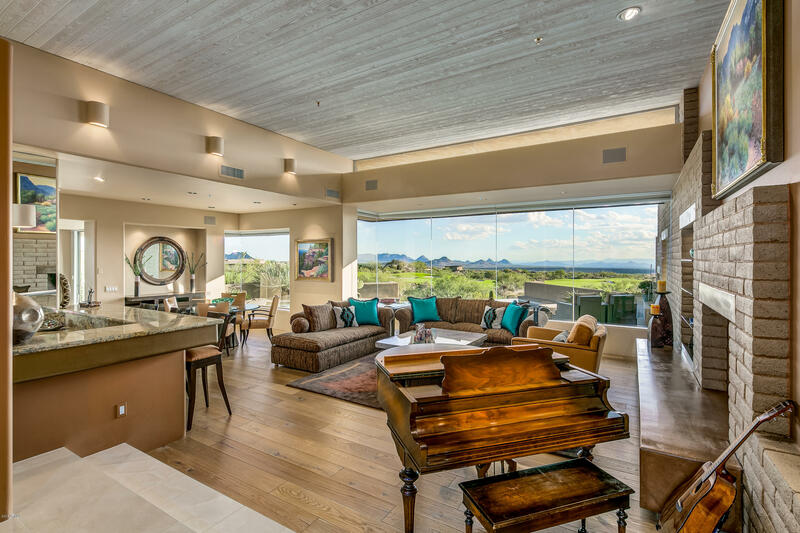 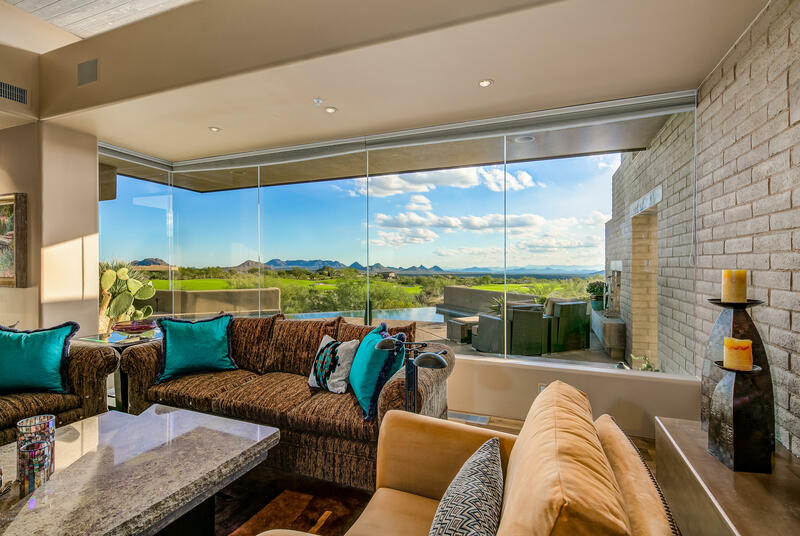 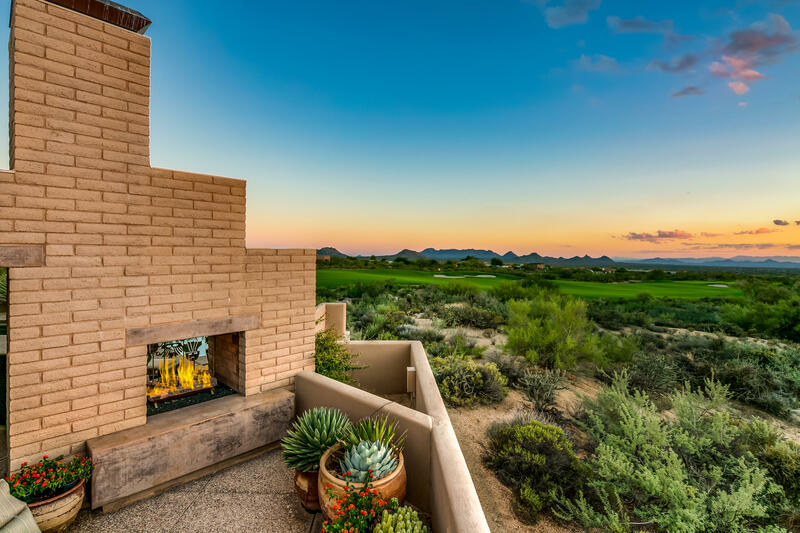 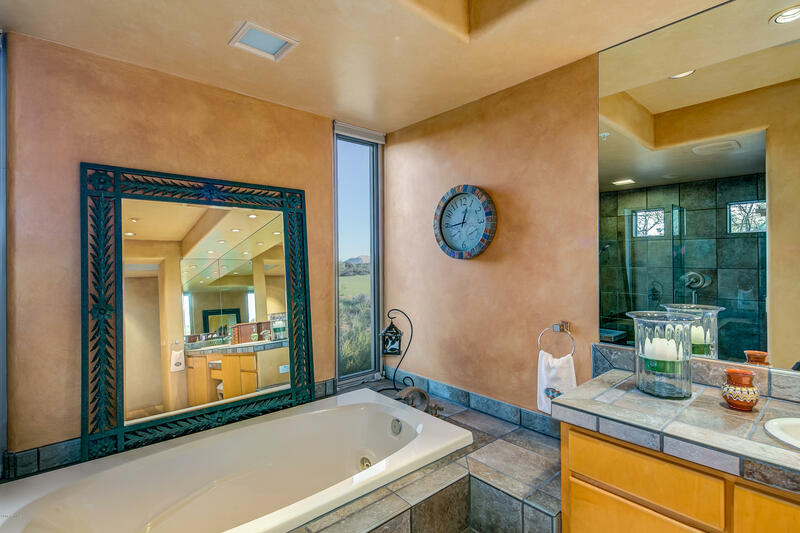 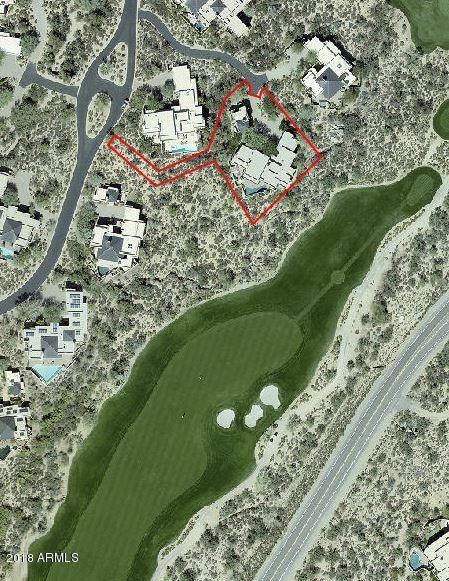 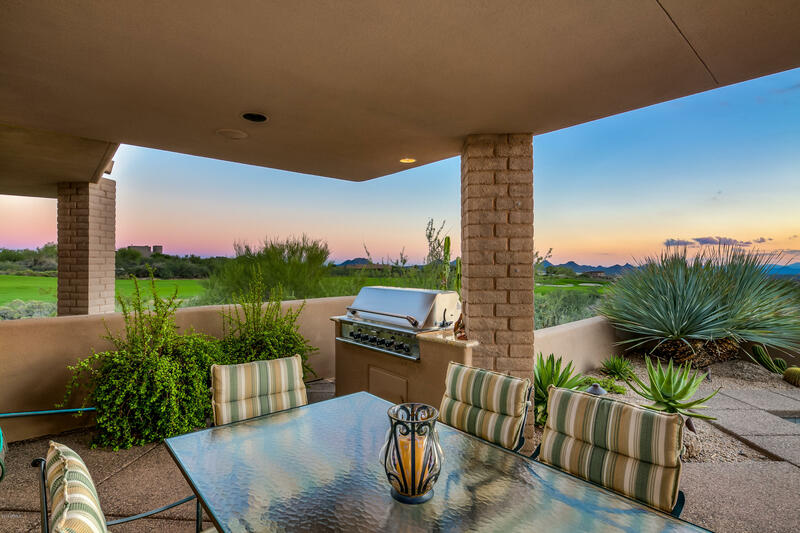 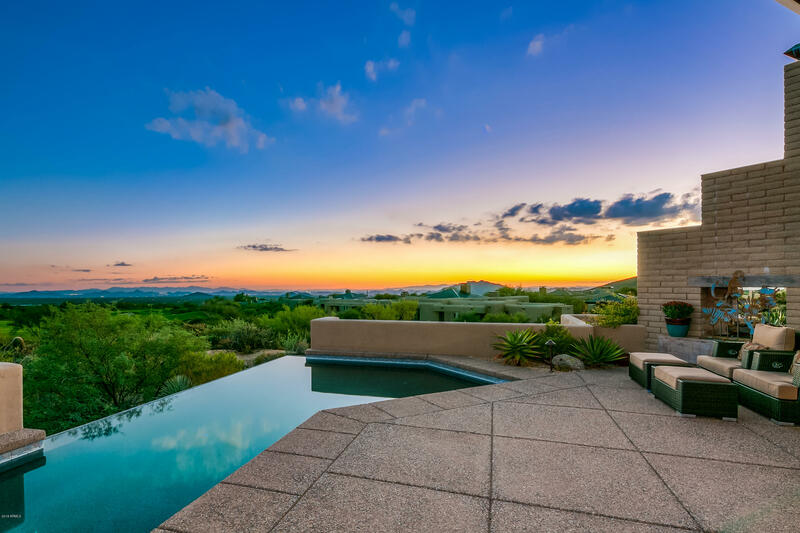 Mesmerizing, long-range panoramic views ranging out nearly ninety miles through a 7 foot-tall wall of windows over the 2nd hole of Apache Golf Course make this south-facing home very special. 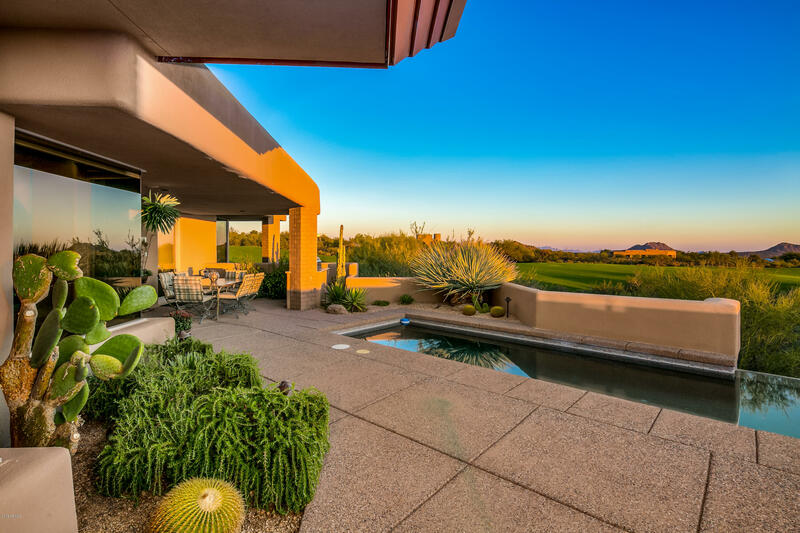 Mostly golf course grass and natural desert in the foreground instead of other homes, with McDowell Mtn., city light and winter sunset views, too! 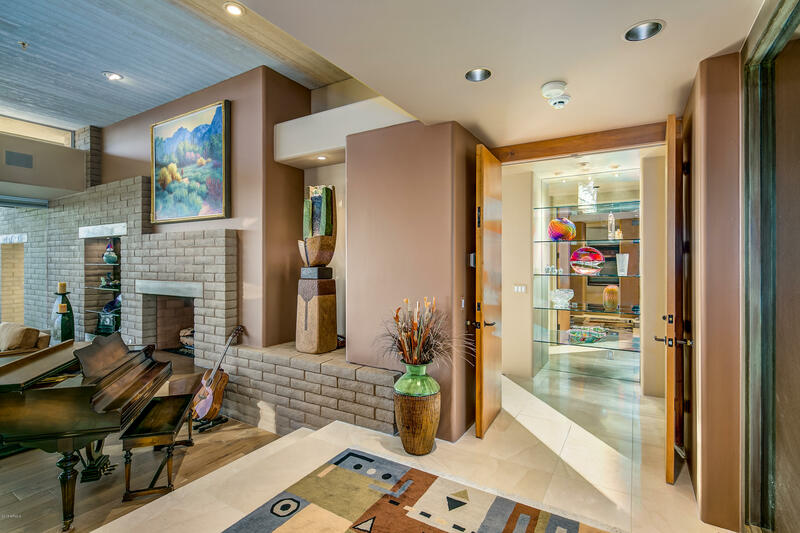 Sophisticated casual elegance, in immaculate condition! 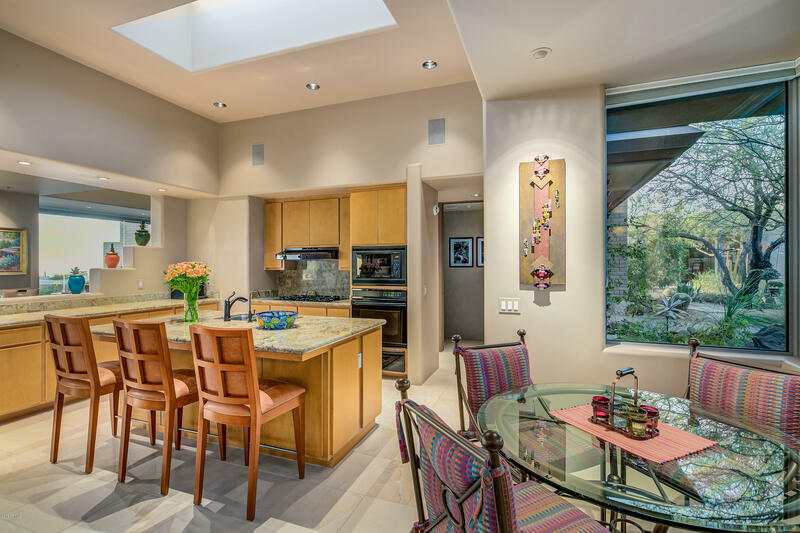 New kitchen appliances and hardwood floors, no carpet. 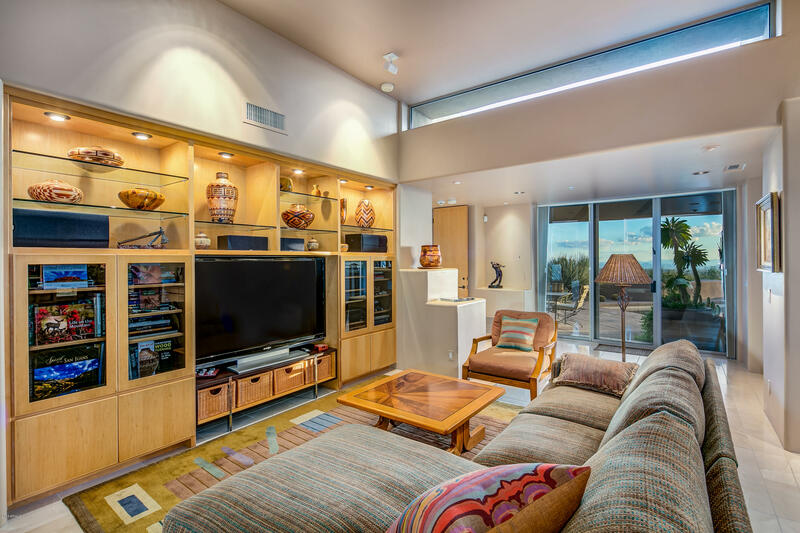 Large, separate casita with living area. 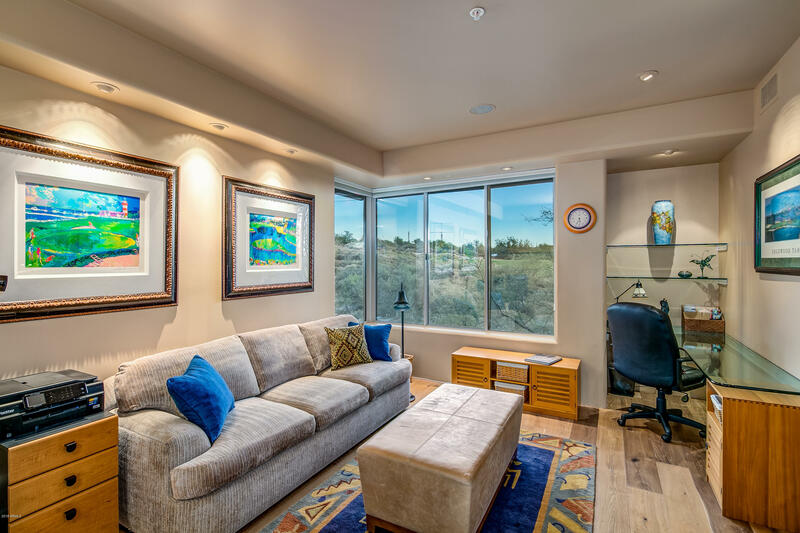 All furniture, rugs, most accessories and some arresting, gallery-quality art available separately. 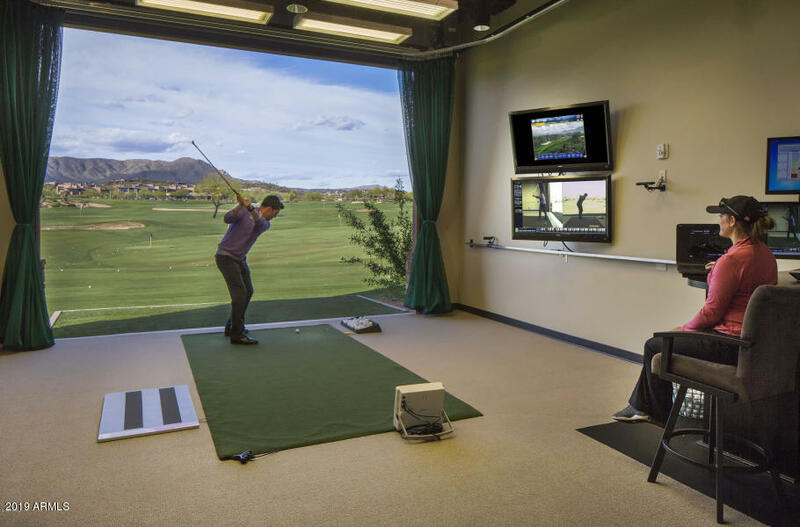 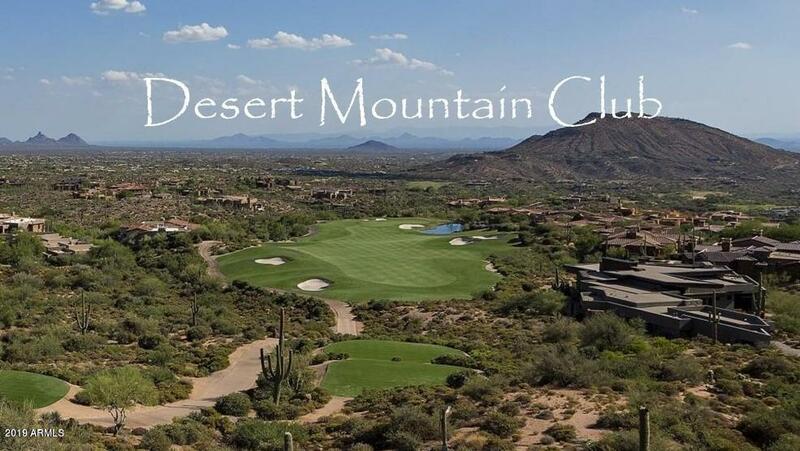 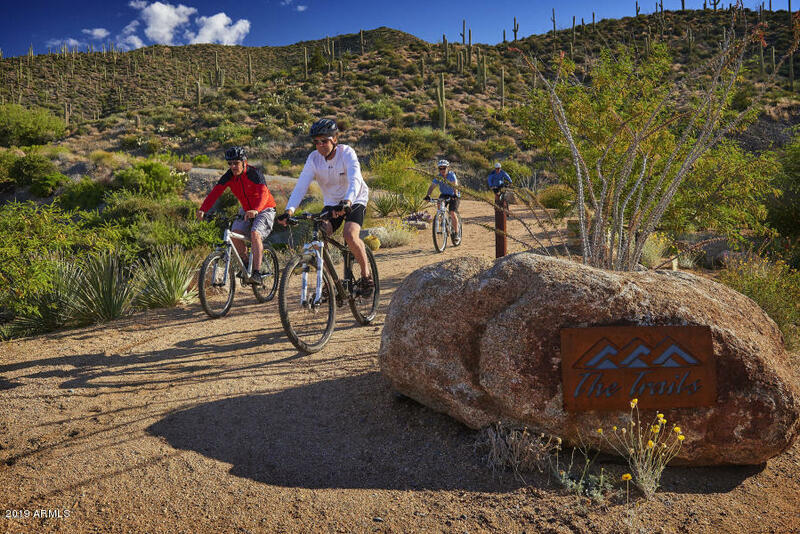 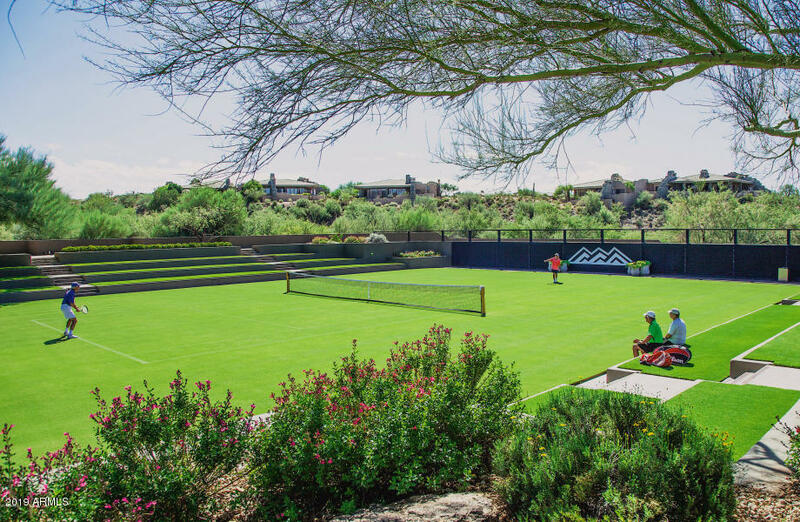 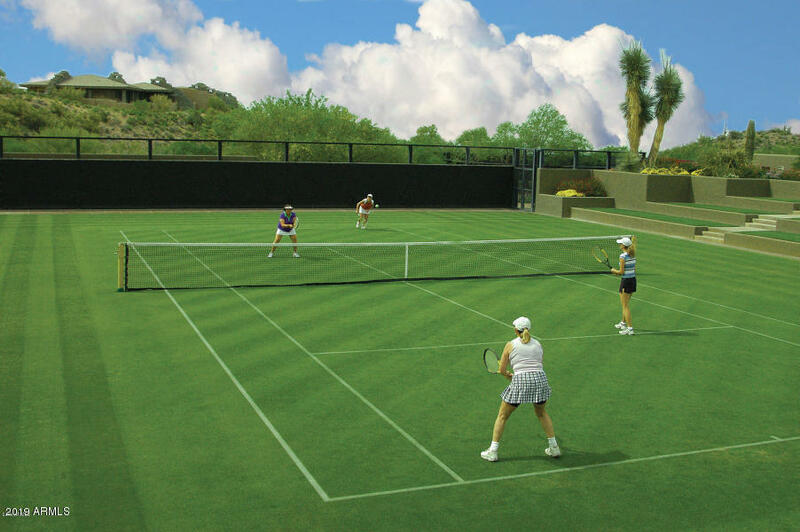 No Desert Mountain Club membership included, but available upon application to the Club. 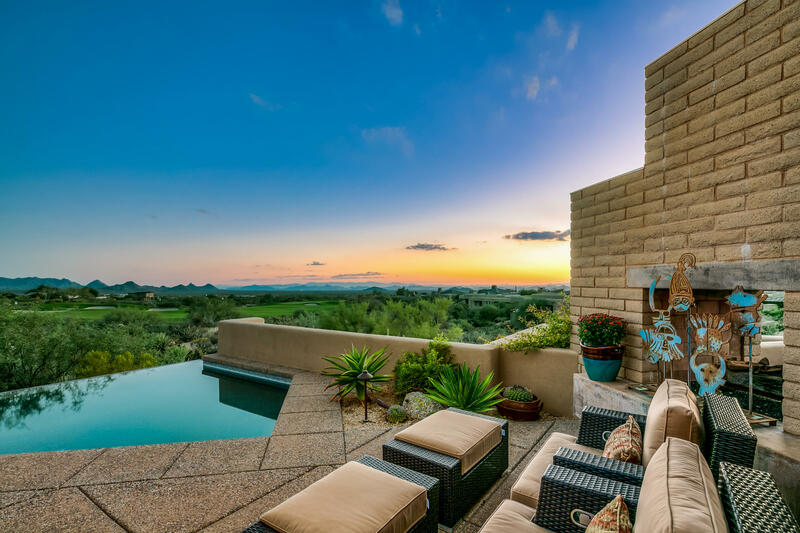 If you want ''post card'' like views and ''presence'', but not a large home, take a look at this one! 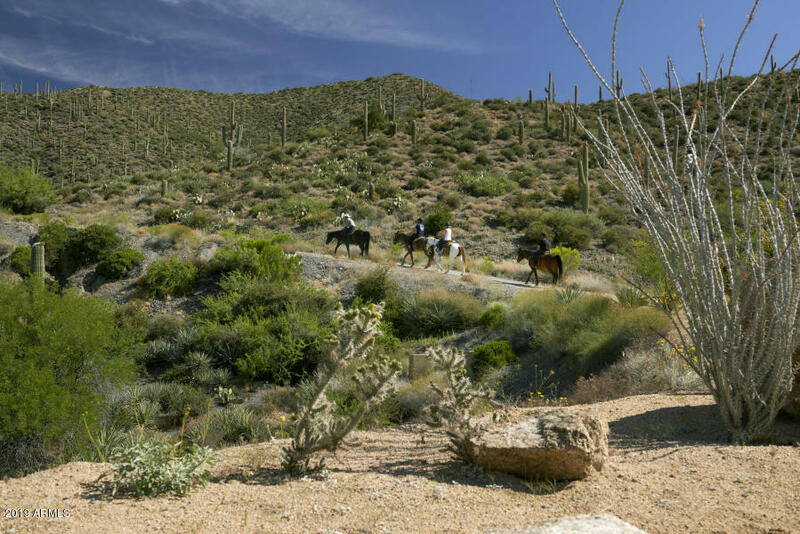 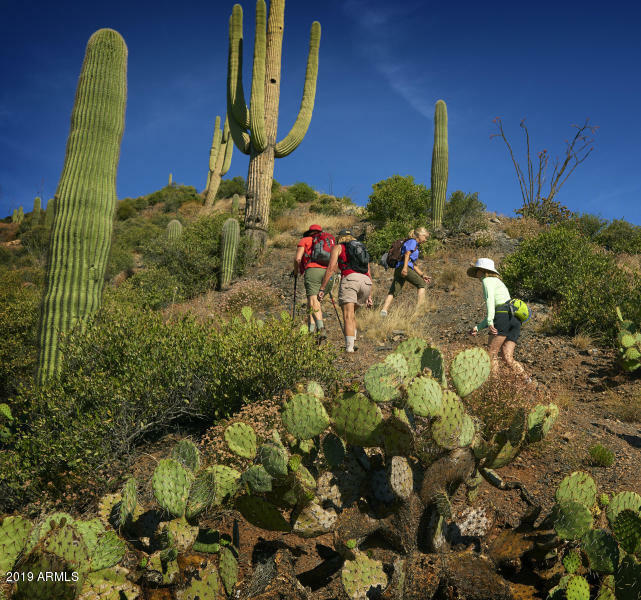 North on Pima; right on Cave Creek, one mile to Desert Mtn. 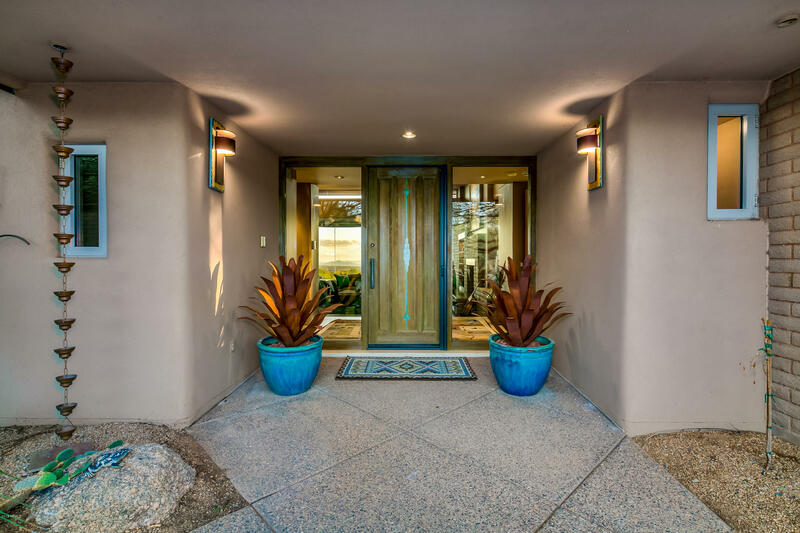 entrance; ask guard for directions to Desert Horizons 32.